Staging of Leon Ferrari’s Palabras ajenas, first performed in its whole length in REDCAT, Los Angeles, the 16th September 2017, in the frame of Pacific Standard Time. Later performed in English or Spanish in Museums of Miami, Madrid, Bogotá and México. The words of the others is a huge collage, consisting of thousands of texts extracted from newspapers, magazines and books. It was realized by León Ferrari between 1965 and 1967 with the intention of denouncing the American imperialism in the world. Ferrari proposes a comparison between the American administration of the time and the Nazi regime under Hitler government. And he considers the religion responsible for many crimes, torture and wars: the words of the Bible would justify, but even incentivize them. The work was composed during the Vietnam War, at a moment when the Cold War justified several American interventions and made possible, few years later, the establishment of the most cruel dictatorships in Latin America, with the support of the American Intelligence. The news from Vietnam, and specially the images of tortures on the field mobilized the artist, who took on the task of collecting that huge amount of cuttings to raise his voice against the war, using the words of the others. The result is an enormous Oratorium, conceived to be publically read. 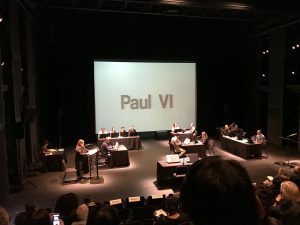 The first performance was presented the 16th September 2017 in REDCAT LA, in the context of Pacific Standard Time LA/LA el 16 de septiembre de 2017. + See also A theatre of the present, text for the book The Words of Others. 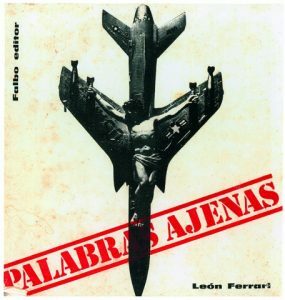 León Ferrari and the Rhetoric in Times of War. +MNCARS, Madrid, 14th April 2018.